the land while surrounding a large landscaped courtyard. 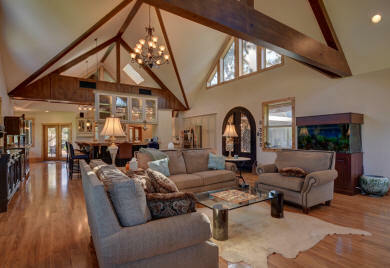 The interior is constructed with vaulting ceilings highlighted with massive beams and expanses of glass. 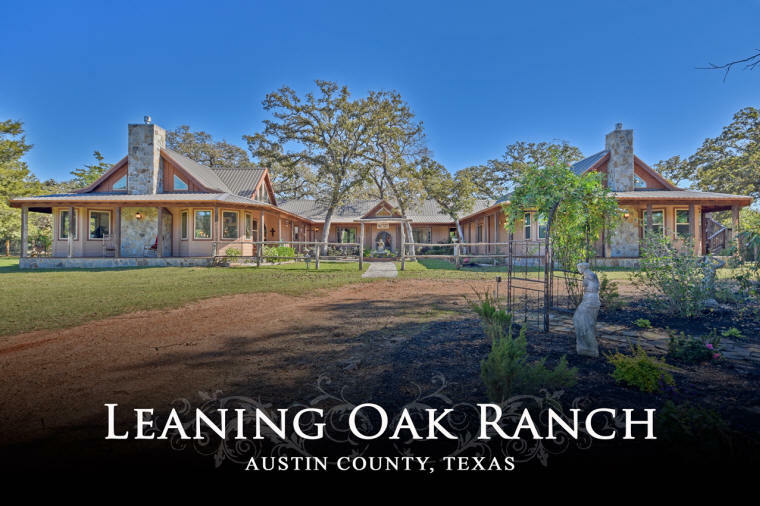 Living, dining and “ major” kitchen are spacious and seamlessly adjoin to form an open concept surrounded by porches, covered patio areas and decks. A master bedroom wing with all the features plus two bedrooms and extra rooms consist of media room, study, sewing or craft room, pet room, play room above, and more. To complete this impressive package add an over 5000 SF barn with 5 stalls, tack room, living quarters and a huge shop; a 3/3 guest house of approx.. 2500 SF; swimming pool and orchard. 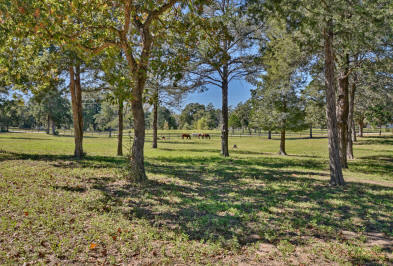 The property is diverse with pasture in front and woods in back offering wide walking or driving trails. A unique opportunity!